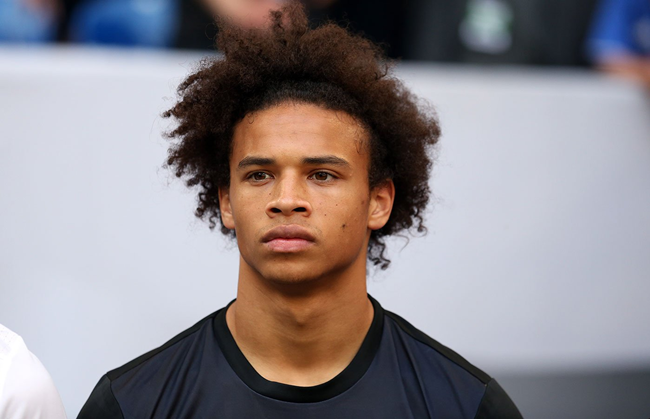 Schalke 04 have all but confirmed that Leroy Sane is on the very cusp of completing his long-mooted transfer to Man City. The Bundesliga side revealed that the nippy little forward has not travelled to Austria with the rest of the squad for a pre-season training camp and has instead made his way to Manchester to undergo his City medical. It would appear that t’s only a matter of time now before Sane becomes Pep Guardiola’s fifth signing of the summer. The fee being bandied around is a lofty £31million (rising to £46.5million) which is an awful lot for a 20-year-old with just 47 Bundesliga appearances under his belt. As ever, however, City are paying the ‘potential’ premium here, with Sane, while still a little raw and unrefined, already showing that he is capable of moments of great skill, technique and endeavour. In all honesty, he’s probably got a far better chance of morphing into the player City thought they were signing when they blew £50million on Raheem Sterling. As usual with City, they’re employing the tried and tested ‘throw enough mud at a wall and see what sticks’. Except they’re using oil instead of mud.